Hello faithful listeners! 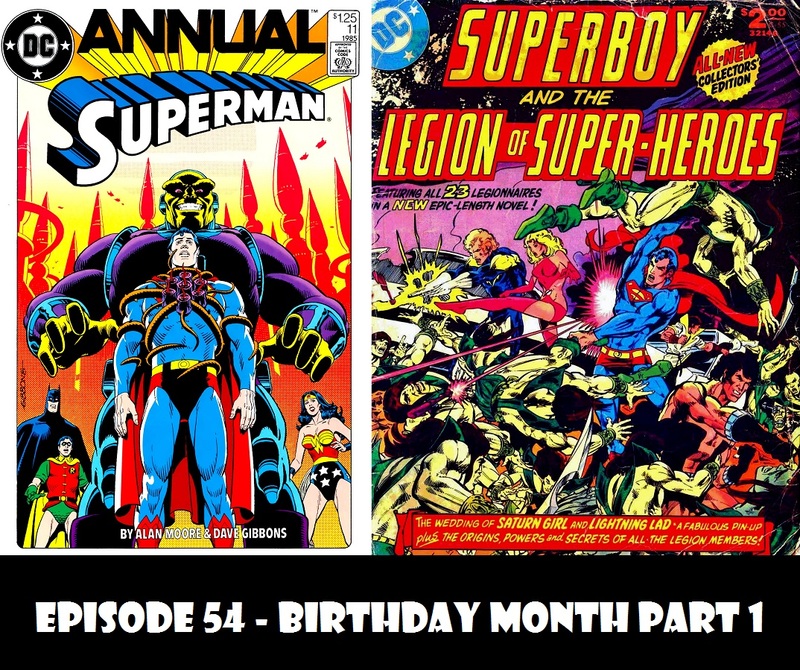 And welcome to Birthday Month here on Superman in the Bronze Age. This time out, I am joined by Billy Hogan (The Superman Fan Podcast) and Jeffery Taylor (From Crisis to Crisis: A Superman Podcast, Green Lantern’s Light) to for part 1 of our extensive coverage one of the most well known Superman stories of all time. This time out, we cover the comic book version of “For the Man Who Has Everything.” But, before we get into that, we see what your responses were to last episode’s super-question and talk a little bit about the Slipstream, the webcomic that Billy and Jeffery created and I get to color (which is available from Clockwork Comics). And finally, J David Weter begins his coverage of the main part of DC Collector’s Edition #7, featuring Superboy and the Legion of Superheroes!